This is yet another well tested recipe that came out superb at the very first attempt. These wheat cookies are very tasty and simple to prepare. 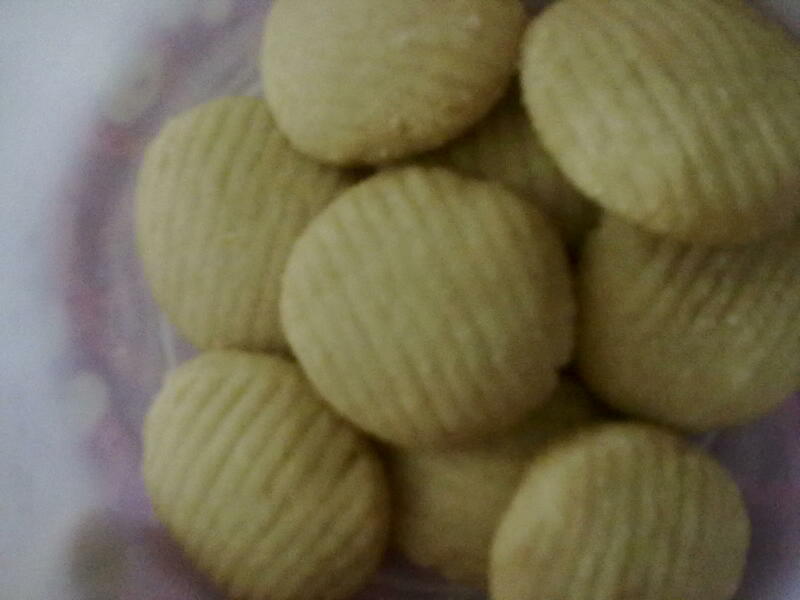 The taste reminds me of the butter biscuits that we used to enjoy at the “petti kadai” during our childhood days. If the same can be replicated at home in a healthier form, why not try it? This recipe cant fail you at all.. So, anyone with a new OTG at home can try this out and practice their baking skills. In a mixing bowl beat the oil, salt and baking powder thoroughly. In another bowl, sieve wheat flour and maida together with sugar. Add the flour sugar mixture to the beaten up oil mixture in little amounts until all the flour is mixed well with the oil. Knead the dough nicely to bring it to chapathi dough consistency. Make small balls of the dough and bring it to desired shapes. I wanted to get the butter biscuit feel, so hung on to the round shape. Preheat the oven at 180°C on toast mode for 10 mins. Place the biscuits with a gap of 2cm apart on the baking tray. Bake them for around 7 min on baking mode and 1 min on toast mode. Note: The baking/toasting time varies from one brand of OTG to another.